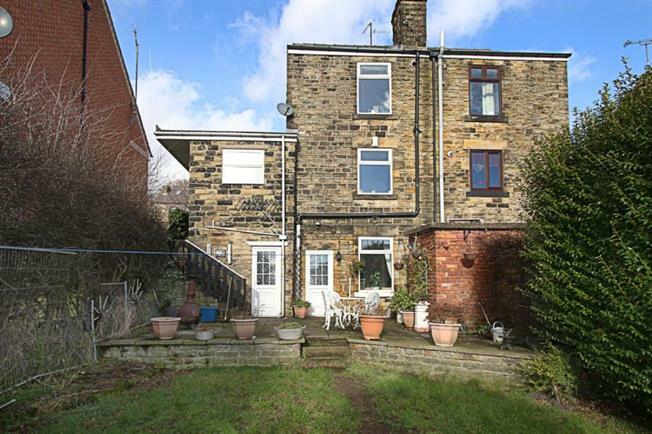 3 Bedroom Semi Detached House For Sale in Sheffield for Offers in the region of £170,000. Blundells are proud to bring to the market this UNIQUE, Stone built, Three Bedroom, Semi- detached period property, propositioned over four floors, boasting original character and charm, an early viewing is essential to appreciate this Fantastic property. In brief the property comprises of; To the ground floor; The entrance hallway provides access into a contemporary fitted dining kitchen, comprising of a range of wall base units with roll top work surfaces and Brick built inglenook feature chimney breast housing the multi fuel double oven having tiled back. There is a cosy living room and further second reception room/dining room featuring wooden beams to the ceiling. There is a three piece family bathroom suite with separate shower cubicle to the same floor. A door from the kitchen leads down into the basement where you can take advantage of two further reception rooms and gain access to the rear of the property which boasts an outside utility room. To the first floor is a larger than average Master bedroom, a further second double bedroom and separate wash basin and W/C. To the Top floor is the attic bedroom with FANTASTIC storage space in the eaves at both sides. The property has a driveway for off street parking for one or more vehicles and to the rear a generous garden. Ideally suited to a family, an early viewing is highly recommended on this amazing, traditional family home!